The entrenched conflict poses significant risks to PT SIL, its partner Wilmar, their investors, and the consumer brands sourcing palm oil grown on PT SIL’s plantations. 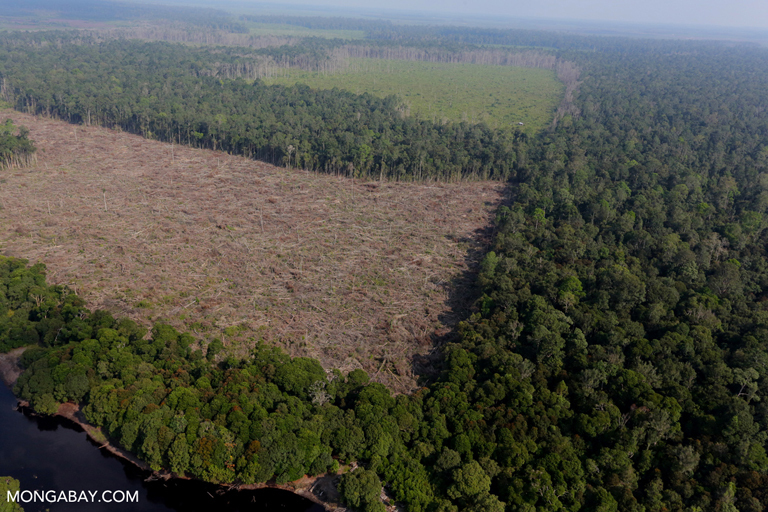 Illegal deforestation for palm oil in Indonesia. Photo by Rhett Butler. Gaurav Madan is the Senior Forests and Lands Campaigner at Friends of the Earth. This article was originally published on Mongabay and is republished here with the permission of the author.